The ASEBA is especially good for multicultural applications because its broad spectrum of specific problem items can be rated by different informants without specialized training. ASEBA forms are used for epidemiological surveys, clinical assessment, outcome evaluations, research, and other purposes in many cultures. For more information, go to multicultural research. Visit the Research page of this website to view abstracts and references for studies from around the world. The Bibliography of Published Studies Using the ASEBA provides references for all these studies and thousands more. Based on over 27,000 CBCLs and C-TRFs from 24 societies, the MMO/1½-5 scores problem scales with norms for societies that have relatively low problem scores (Group 1 societies), intermediate scores (Group 2), or high scores (Group 3). Select societies by name or select Group 1, 2, or 3 norms for profiles of syndrome, DSM-oriented, Internalizing, Externalizing, and Total Problems scales. You can also select norms for displaying scale scores in cross-informant bar graphs for multiple CBCLs and C-TRFs per child. Scores from each form can even be displayed in relation to more than one set of norms; e.g., display scores from a CBCL completed by an immigrant parent with norms for the parent’s home society and the host society. You can then see whether scores are clinically deviant according to either or both sets of norms. In addition to the syndrome and DSM-oriented scales, the MMO/1½-5 scores the Stress Problems scale. The Multicultural Supplement to the Manual for the ASEBA Preschool Forms and Profiles fully documents the construction of the multicultural norms for the CBCL/1½-5 and C-TRF. It also details the construction and psychometrics of the Stress Problems scale. The Supplement illustrates multicultural scoring, cross-informant comparisons, and practical applications in school, mental health, medical, and forensic contexts. The Supplement also reports multicultural findings for confirmatory factor analyses, internal consistencies, cross-informant correlations, and distributions of scale scores. Updates are provided for the Language Development Survey (LDS) of the CBCL/1½-5. Research guidelines and extensive reviews of research on the instruments are also provided, plus a bibliography of over 300 publications reporting their use with young children. You can display CBCL/6-18, TRF, and YSR profiles of problem scale scores in relation to three different sets of norms derived from normative samples in many societies. The three sets of norms are based on samples from societies where problem scores were relatively low (designated as “Group 1”), medium (“Group 2”), or high (“Group 3”). Choose the norms most appropriate for evaluating each child. For refugee, immigrant and other children for whom more than one set of norms may be relevant, you can display the children’s scale scores in relation to one set of norms and then another set. You can also display cross-informant bar graphs in which the bars for each informant are based on your choice of norms. If a child is from a society for which normative data are not yet available, you can select a society that you consider relevant, or you can select the ASEBA Standard norms. The Multicultural Supplement to the Manual for the ASEBA School-Age Forms & Profiles fully documents the basis for the multicultural norms, the construction of the Stress Problems, Obsessive Compulsive Problems, and Sluggish Cognitive Tempo scales, plus psychometric data. It also provides extensive illustrations of practical and research applications. The Guide to Family Assessment Using the ASEBA provides instructions for using the MFAM to assess children and parents. It also provides case illustrations of how to present MFAM graphs to parents and how to document family members’ progress and outcomes over the course of interventions. The Multicultural Guide for the ASEBA provides a quick introduction to multicultural applications of the ASEBA, plus practical illustrations and guidelines for using the multicultural software. Multicultural Understanding of Child and Adolescent Psychopathology: Implications for Mental Health Assessment by T.M. 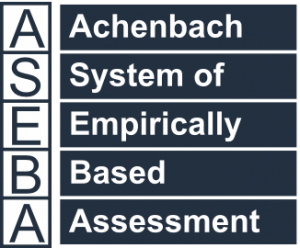 Achenbach and L.A. Rescorla (2007) extensively documents multicultural findings obtained with empirically based and diagnostically based assessment instruments. The book thoroughly appraises relations between the two approaches and contributions of multicultural research to understanding, assessing, preventing, and treating psychopathology.